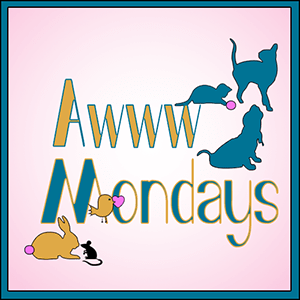 This entry was posted in Blog Hops and tagged Awww Mondays, Emmy, KaTwo, Millie, Prancie, Sammy by pilch92. Bookmark the permalink. Wow, you all need ton of POTP and loads of pawyers indeed. So much going on at your house right now! I’m purring hard for Millie, KaToo and Sammy. Please keep us posted! WOW…..that’s a whole lot of things to keep an eye on and with as many kitties as live there, it’s one of those “constant” worries. Hoping all the prayers we’ve been sending are being heard and that your furramily will be alright. There is a lot going on and I am sending good thoughts for all that need it. Sending prayers and good positive thoughts for Millie, KaTwo, Sammy, Prancie, and Emmy! With a crew that big I would think it could feel like you are at the vet pretty frequently. That’s always sad when one of our darlings is sick. Arthur has running eyes, but the vet said it go away from alone. Wish all the best for poor Millie ! We’re sending loads of purrs and prayers to all of you. Sending you all lots of purrs. We know about all those vet visits. Gee, we are sorry that you have so many medical issues going on. We purr for everyone and sure hope for the best. Sending tons of purrs and purrayers to all the kitties in need. All of us here at the office are sends purrs and hugs to you and all your little ones. You really have your hands full. Hopefully, good news will be coming your way for all of them. Have a wonderful rest of your week. Thank you. I hope you have a nice week too. Purrayers and POTP for all of your kitties ! Any one of these things would be scary enough. Lots of prayers for all of your fur babies. Feel better soon little ones. Purrs and prayers for all! Poor kitties! Saying prayers all goes well. It’s hard to see any living creature suffering which I hope they aren’t but with critters, all you can do is go by how they act and I know that’s gotta be worrisome. Sending hugs your way, my friend! Millie seems a chronically ill kitty in good spirits as one scary thing after another manifests somewhere on him. . .poor sweet fellow! He does have a lot of health problems. Sending blessings and purrs to all your kitties and you and yours. Sending lots of positive thoughts and prayers for your kitties. That’s a whole lot of things to worry about. We will cross our paws that all will do well with your loving care. Millie, absolutely I have told mommy to pray for you and I will too. KaTwo, Sammy and Prancie…be all better..purrlease. XXXXXXX Emmy, good luck sweetone. Oh man, those stupid bumps are so nasty sometimes, and being older stinks because it adds to the troubles. We hope things will work out positively. We sure send lots of good thoughts to all the sick one. It is hard when a bunch get sick togeher. I will write in the blog tomorrow about Mom’s visit to the hospital. Healing purrs for all, especially for Millie. We have our paws crossed that everyone will be OK.
Millie be lookin’ gawjus. We’re sendin’ purrayers fur all. We’re sorry you’re all havin’ to deal with multiple medical issues, but we know you’ll take care of them the bestest ya’ can. Big hugs fur all. I’m sorry 🙁 You’re such an amazing cat mom. Purrs for everyone. I will pray for you and your fur kids, that everything will work out well. I do NOT envy you your vet bills though. It was hard enough with two. You sure do have a lot going on! We will send you positive vibes and Frodo sends a special big hug! It’s as bad as having kids at the pediatrician all of the time. Praying everyone gets and stays healthy! Poor kidlets! Poor you, too! What stress. We will purr that all ends well for all. Sending purrs and hugs to all of your fur babies! We’re sending lots of purrs and prayers for everykitty to be well! We’re so glad you have noticed all the lumps and bumps and are watching them so closely. The kitties are lucky to have such an attentive mom! I’m so sorry. We had to go the echocardiogram on Jazz, our miniature poodle, before they would remove his melanoma tumor and clean his teeth. It sounds like you have an experience site and difficult road ahead. I’m sorry. Sending POTP! Oh dear, sorry I’m late. Purrs and prayers to each of those sweeties from all of us here. Sending purrs and good thoughts to all of your kitties. Oh, miss Ellen, we’re so sorry for all the kitties. Will send Healing Pawkisses immediately and hope everyone is feeling better soon??? I’m sorry I’m so late in catching up on commenting. Please know that you all have our purrs and prayers! For what it’s worth, my angel Rosie underwent two surgeries (a dental and an eye removal) with a heart murmur and kidney disease. One surgery was when she was 18, and the other was when she was 21, and she came out of both with flying colors. All kitties are different, of course, but don’t lose hope, because our kitties are tougher than we sometimes realize. Purrs and prayers!